Sims players have been creating fan-made challenges for the games pretty much since the series began in 2001. Challenges are a fun way to mix up normal game play; instead of just creating a Sim and living out a normal life, you can play by a set of rules and objectives to try to reach a particular outcome. Some challenges are more difficult than others, but all are a creative and an interesting way to introduce a more linear game play style to The Sims' sandbox game play. Players have been coming up with different challenges for The Sims 4 since the day it was introduced. 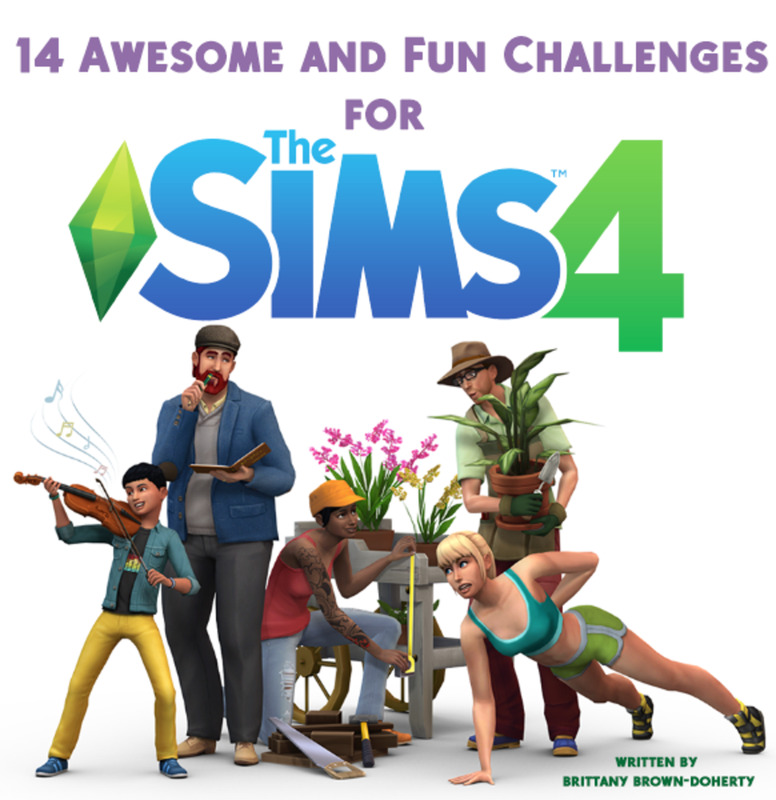 Here are some of the most fun and interesting challenges for the Sims 4; try them if you're bored with the game and looking to mix things up! Create a Sim of your choice, and move them onto the biggest empty lot, but they must start in poverty (only $10,000 simoleons, excluding the cost of the lot). The "founder" has to build their house and wealth, and then procreate to make a second generation. You play on in the single family for 10 generations. There are various challenges throughout each generation and different flavours you can add to the challenge to make it more exciting or challenging. The legacy challenge is pretty fun for a few reasons: you get to play through one bloodline for so many generations, it's got a rags-to-riches story to it, and you can really see the growth of your Sims' home, family, etc. Check out this website dedicated to the Sims Legacy Challenge (with rules for the Sims 4, 3 and even Sims 2!) here. This is quite a popular challenge for The Sims 4. 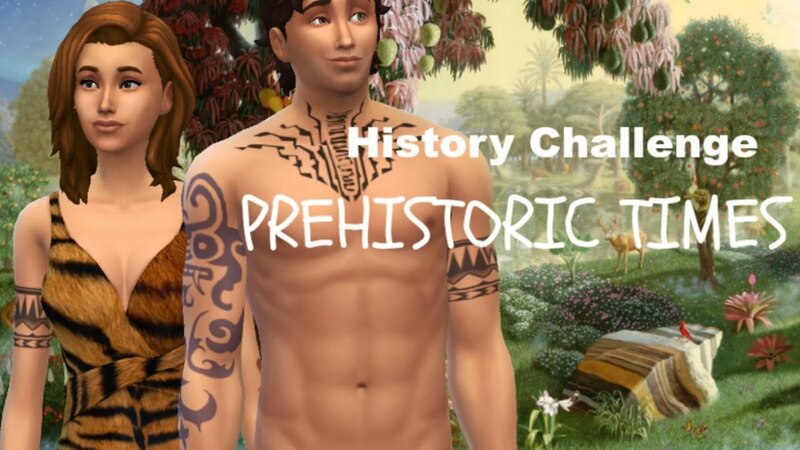 Created by user Cloudseeker on The Sims 4 forums, this challenge is designed to start in the "prehistoric" age, and takes you and your Sims throughout various time periods, ending in the Modern era. 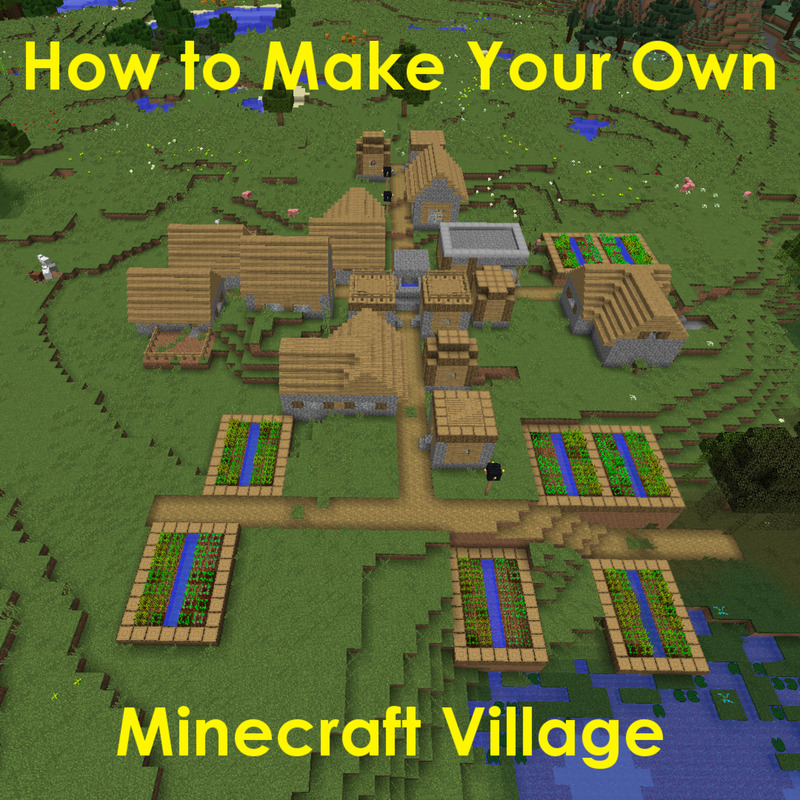 Create two Sims (your Ancestors) and place them in an empty world (delete all lots and all Sims, or download an empty world- see link for the challenge below for more details). They will start off as your prehistoric Sims. Prehistoric era Sims can't join any jobs, but can sell collectables, paintings or woodwork. Sims can't have a "house"; they must live in a tent or on the land and can only eat food that they've caught or grown (fish, insects, fruit). Complete the goals in the Prehistoric era to move on ("Reach level 10 Fishing, Gardening and Handiness skill on the same Sim" is one of the 5 goals in this stage). Move on to Early Civilisation, where your Sims can now build a house in the Roman Empire or Ancient Egyptian style! Progress through each era- Prehistoric, Early Civ, Middle Ages, The Old West, The Industrial Age, The Roaring Twenties, and the Modern Day- by completing goals and unlocking new game mechanisms! I really love this challenge- it's an extremely unique spin on the traditional legacy challenge and the creator put a lot of thought into the eras, game play and goals. A lot of Simmers really got into this challenge too (the forum post has 45+ pages of replies on it alone! 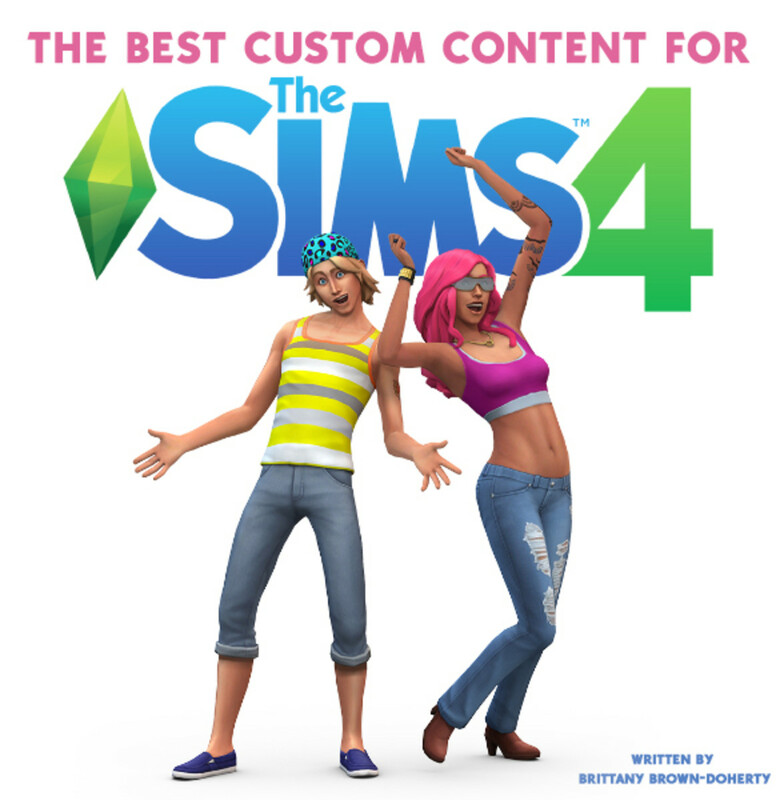 ), and if you're into using CC in your game, there's a lot of themed content for each of the eras, so you can make the game even more authentic! 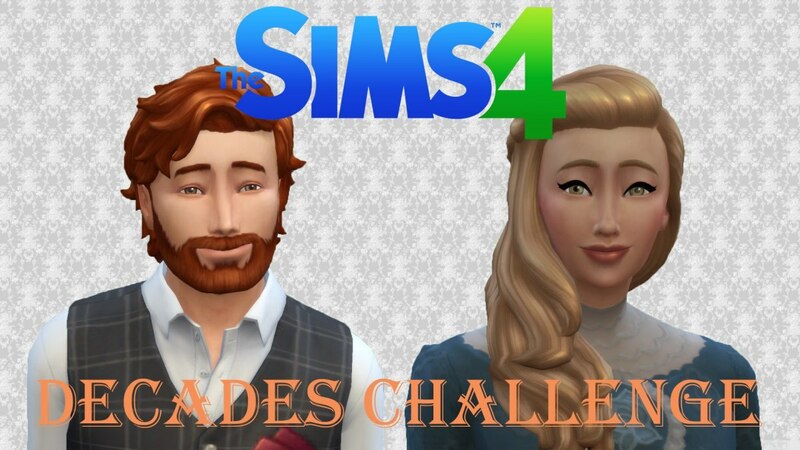 The Decades Challenge is a variation of The Legacy Challenge/The History Challenge. It's not identical to the History Challenge though, because instead of going through various eras, it's more focused on American lifestyle between 1890 to present time. You start off in 1890. Sims can only marry within their own ethnicity, can only marry the opposite gender, can't use electricity (obviously), indoor plumbing, can only "try for baby" (no woo-hoo for fun! ), and all furniture must be wooden, among other things. By 1900s, Sims can have electricity and indoor plumbing, but only men are allowed to get jobs outside the home. In 1910, male Sims must go to "war", which is just feeding the cowplant and rolling dice to see whether or not they survive! Women can finally go to work in the 1920s, but by the 1930s, anyone in a career must lose their job (the Great Depression). Each decade continues with various challenges and things to unlock until you reach the current decade! This is another one that gets major points for fun and creativity. There's challenging aspects and it stays pretty true to how life was in each of these time periods. This is another one that would benefit from downloading some themed custom content for your game (if nothing else, it's a nice excuse to give your Sims pretty Victorian dresses!). Full challenge details are here! Historical Sims Life is a great blog which offers some custom content you can use for this challenge. Let's change it up a bit, hey? 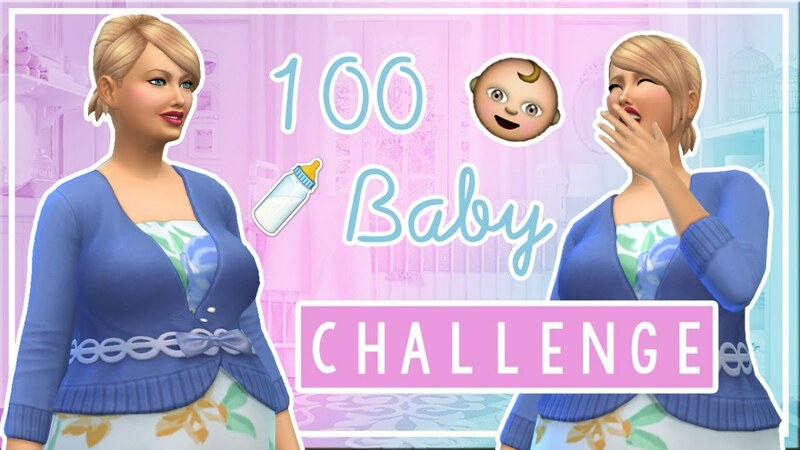 Instead of a history-based challenge, we have this extremely fun and classic, 100 Baby Challenge! This is another that's been played through most iterations of the Sims. Have 100 babies in as few generations as possible! No cheats are allowed, but you can age up babies immediately. You must give birth to a girl to continue the legacy. The youngest girl born to the founder continues the legacy when the founder becomes an elder and can't give birth. If you don't have any girls, you lose! This is a fun and silly challenge that lots of people love playing. 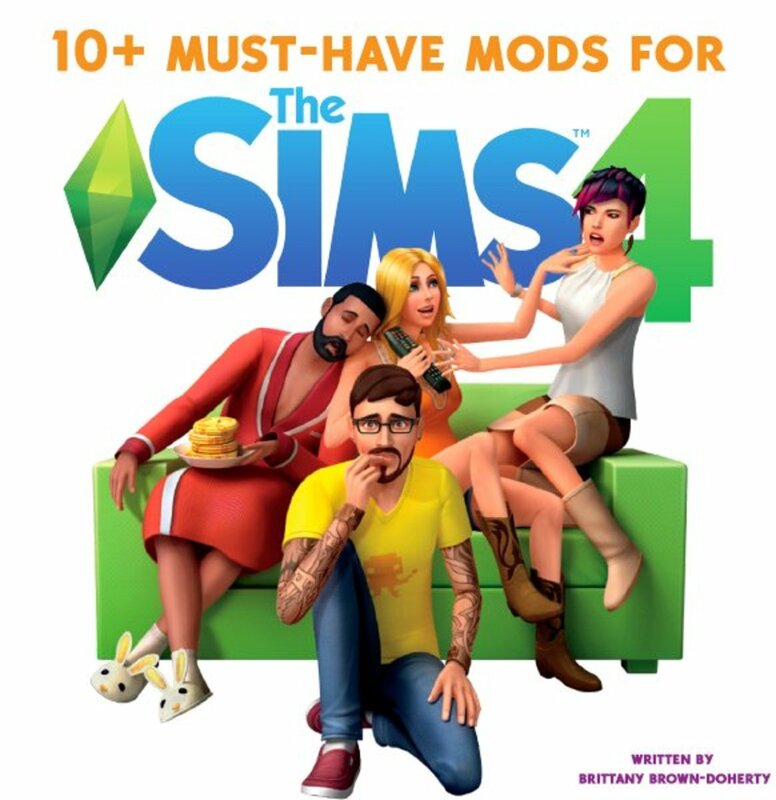 You can make it gender neutral if you like by using mods (so men can get pregnant), but either way, it's a fun challenge that'll get you and your Sims out and making woo-hoo with everyone they meet. 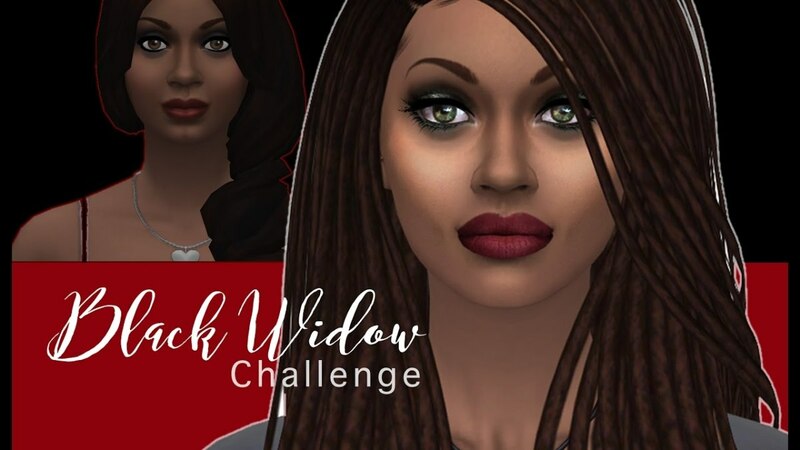 The Black Widow challenge is another of somewhat scandalous nature; the main challenge is to marry male Sims, kill them, and inherit their money! Start with a Young Adult female Sim. She must have the materialistic, snob and romantic traits and should have the Serial Romantic aspiration. She can move into a house but you're not allowed to use any cheats for money! She also is not allowed to work- all the money she has must be inherited from partners. Meet a Sim and get married to him. Have a dinner party to show off your new partner, and while you're there, find a potential romantic interest. Cheat on the husband with the new romantic interest, invite him over and get caught cheating. Find a way to kill off the husband (some suggestions are here) and then marry the new romantic interest! Keep all the tombstones on the lot- aim for 10 husbands to win! There's a few other rules and goals that go with the challenge, but that's the main gist of it. The Black Widow Challenge is one that's been around since The Sims 2 as well- can you seduce and kill all the Sims in your town? Check out the full details here! Make a single Sim- they can be male or female and have whichever traits you'd like. Buy and move them onto an empty lot. Using cheats, remove all their money. Your Sim can not have a job, but can obtain cash by collecting, fishing, gardening, rummaging through trash, begging other Sims for money, writing books, playing instruments, painting, or any other hobbies. In the beginning, they'll have to use public toilets and sleep on park benches until you reach the part of the challenge which allows them to start building a home. Of course, you'll need to have enough money to do that too! The game "ends" when you have $5000 saved and have built a basic house! This is another of my personal favourites. The mini challenges are unique and fun, and it's definitely hard trying to take care of a Sim who doesn't have all the necessities at hand. 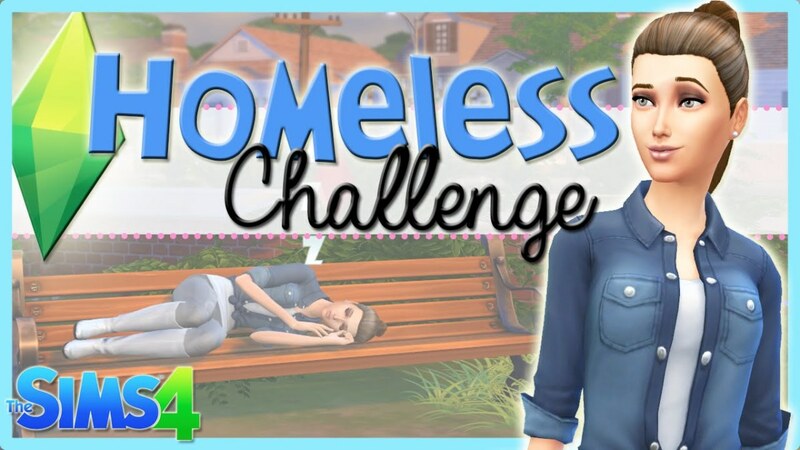 There's great pride when you reach the end of the challenge and see how far your homeless Sim has come! Check out all the full details here. Time to get a bit crazy! Literally. 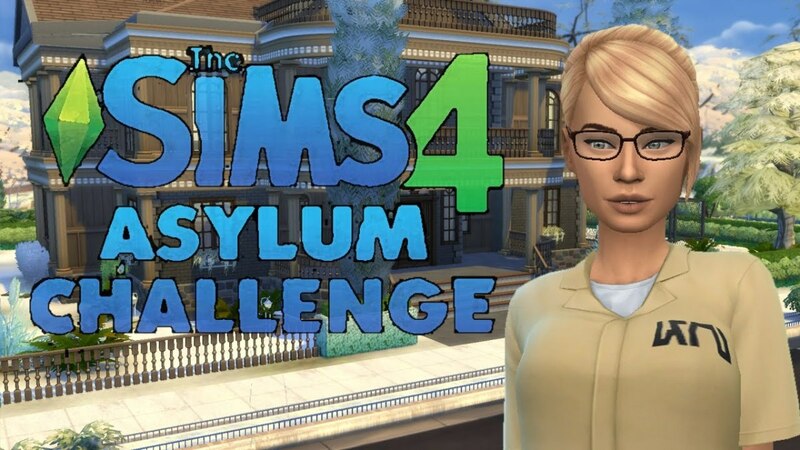 The Sims 4 Asylum Challenge is all about managing Sims with the insane trait. Can you do it? 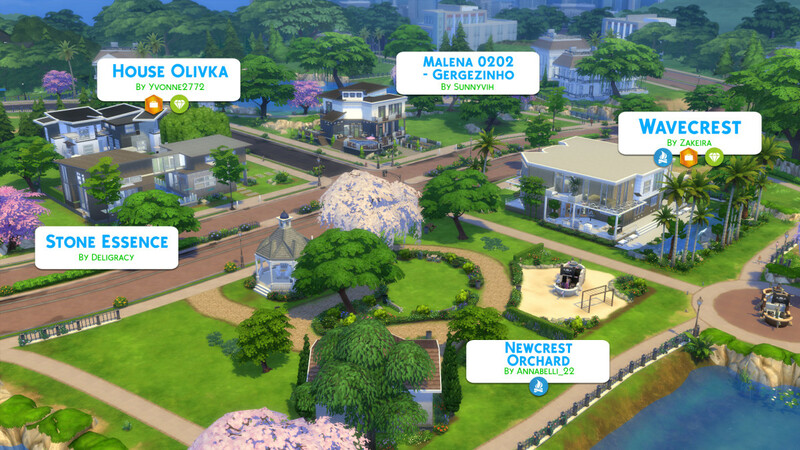 Make a household with 8 Sims (or find some in the Sims 4 Gallery!). All Sims must have the insane trait. You must randomize their other traits (but they cannot have the "Self-Assured" trait. Randomize their aspirations. You can pick one Sim to control throughout the challenge. The goal is to have your controlled Sim complete their aspiration (to prove they've gained control of their life) and they can then leave the asylum! No cheats are allowed, and to spice things up, you can make the house only have 5 beds, 6 seats, just one bathroom, and the cheapest electronics. This is a fun and difficult challenge; you really have to work hard to control your Sim despite their insane trait, and you also have to watch out for the other uncontrolled insane Sims in the house. I like this challenge as it's based on an in-game trait, rather than an external set of goals or objectives. Full challenge details are here! Sims fans have long wished for an official post-Apocalypse expansion pack (think The Sims + Fallout), but the closest we've ever gotten was Sims 3: Into the Future. 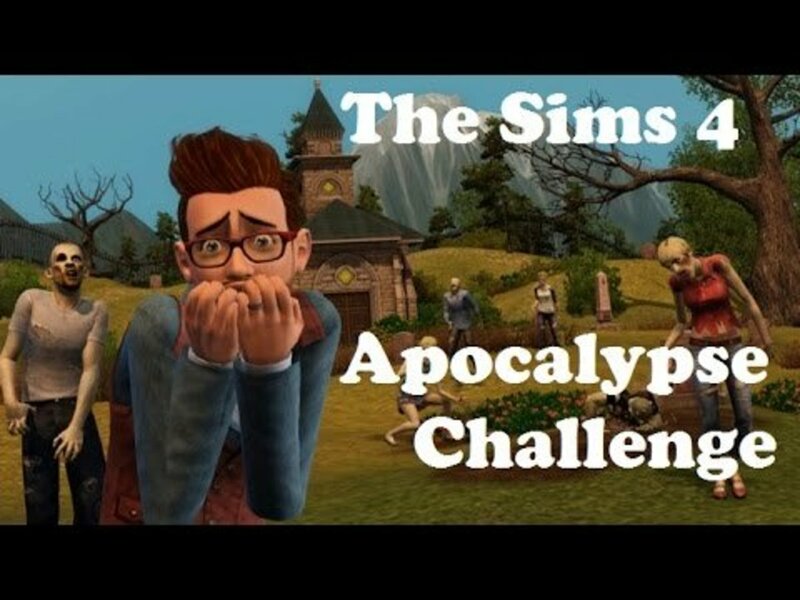 The Apocalypse Challenge, however, lets you use your imagination and pretend that you're living in a post-war world! The year is 2015, and all of Simtopia's been wiped out by an apparent nuclear war! Thankfully, your Sim has survived in their bomb shelter, and the goal is to survive there until they die of old age. Create a sim and a "shelter." The shelter is a single room which can only have the basic necessities: cheapest bed (the prison cots from Get to Work or the camping beds from Outdoor Retreat would be great), toilet, and kitchen appliances (stove, fridge, counter). Your Sim cannot leave the lot (the rest of the world is destroyed and there's the threat of nuclear fallout). If your Sims die of anything other than old age- you lose! I've seen a few variations of this challenge online, but all of them have to do with survivalist living and gives you some unique restrictions on typical game play. Which challenge are you most looking forward to playing? Start off as Snow White. Create Snow White and she must have 7 children (dwarfs) in the game. Each child has to have a bad trait (like "gloomy"), and all children must have the same father. All the children have to complete their Aspiration or get an A in school before you move on. Next up is Cinderella! Choose a female of Snow White's descendants and when they become a teenager you play as them. She will need the "neat" and "foodie" traits, and will have to clean the house and cook every day. She can't marry until the mother dies! You continue on with several other Disney Princess through each generation- everyone from Tiana (Princess and the Frog; one of the goals is to marry a Sim with green skin), to Rapunzel (your Sim can never leave the house or have friends until she gets married), to Belle (Beauty and the Beast; your Sim has to have the Bookworm trait and has to marry an "ugly" Sim who can only be changed after the wedding). This challenge has a lot of fun goals and objectives and allows you to get a bit fun and creative with replicating the looks and lives of the various Disney Princesses. There are 10 Generations/Princess in total, but there's some extra alternative Princesses and goals that you can add or switch out, if you desire. Check out the full challenge here! The Build-A-City Challenge (also known as BACC) is a somewhat-complicated challenge which includes traditional legacy-style game play elements with building/creating a city of your own in the game. You start off with a certain amount of Sims/lots by using a randomizer at the start of the game. As your progress through the goals, you can unlock more lots, options, careers, CAS, Sims, etc. The challenge gives you global control of the world you're playing in- control all the households to reach your goals! You win the challenge when you reach 50,000 points! As I said, this one is a bit complicated- lots of rules and things to unlock- but I know lots of people who love this challenge and really enjoy playing it! There's a website dedicated to its rules and regulations and you can check it out here! 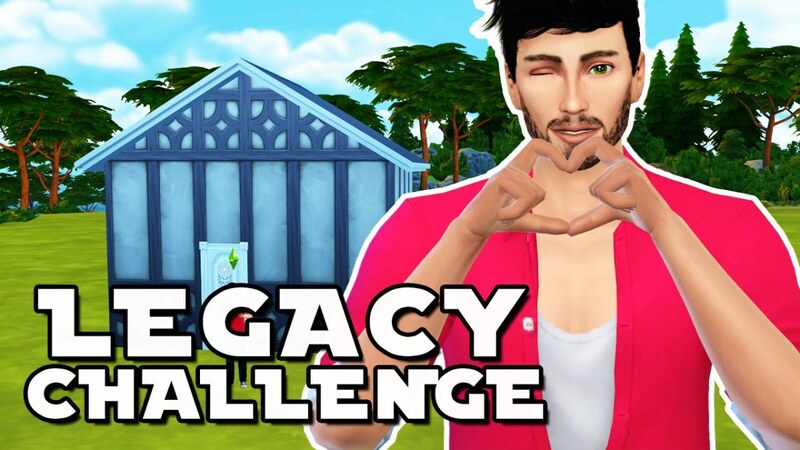 If you're not really in the mood to set in for a long, legacy style challenge and if you like playing in Build Mode, the One Room, One Week, One Theme Challenge may be just for you! Created by Rosemow on the Sims Forums, this challenge is a bit different from the others, but still allows for lots of creativity! Every week on the Sims 4 Forums, Rosemow updates the thread with the weekly challenge. 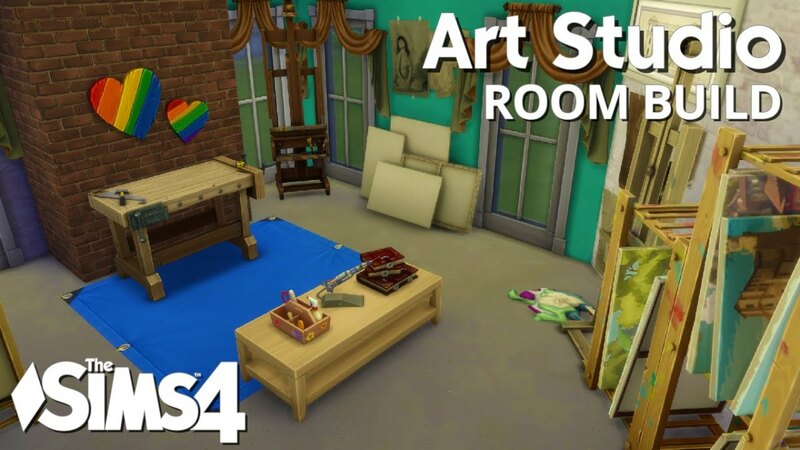 No CC can be used in the rooms, and rooms can be shared on The Sims 4 Gallery for other players to use and download in their games (use the hashtag #oneroomoneweekonetheme so people can easily find your room in the Gallery)! Past themes have been: A Fruity Kitchen, A National Holiday Themed Room, A Music Room, A Guest Bedroom, A Wellness Room, Grandma's Kitchen, and more! There have 118 weekly challenges to date! I really like this challenge as it's one that you can complete relatively easily (especially compared to the longer/more involved challenges), gives you a chance to show off your building skills, and you can get really creative with the themes. Besides, decorating rooms is one of the best part of the Sims! Check out the challenge thread here! 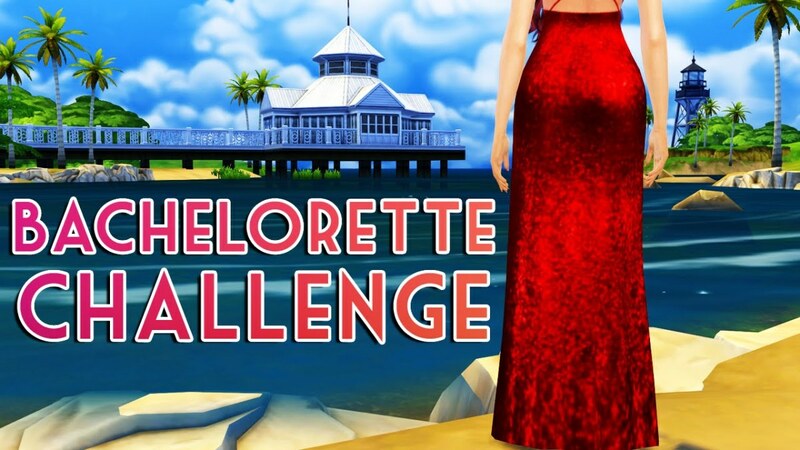 The next few challenges are based off some great reality TV shows, and what better place to start than with The Bachelor/Bachelorette Challenge? Create a Bachelor or Bachelorette. Give them whatever traits you'd like but they MUST have the "romantic" trait. Create 7 contestants! They can have any traits you want. They can be all male, or all female, or mixed- whatever your Bachelor/Bachelorette prefers! Try to make them as diverse as possible, for more fun. Or look for some unique Sims on the Sims 4 Gallery! Your Sim must go on dates with the Sims in the house- either via group outings, or one-on-one dates. Eliminations take place every 3rd day- and the Sim with the least romantic relationship with the Bachelor/Bachelorette must be moved out of the house. Keep going until your Sim finds their true love! You can add or change any of the rules you want with this challenge, or try to recreate your favourite season of the Bachelor/Bachelorette, whatever you'd like. This one is great for a more social/romantic-based challenge, or fans of The Bachelor franchise! Check out the full challenges rules here! 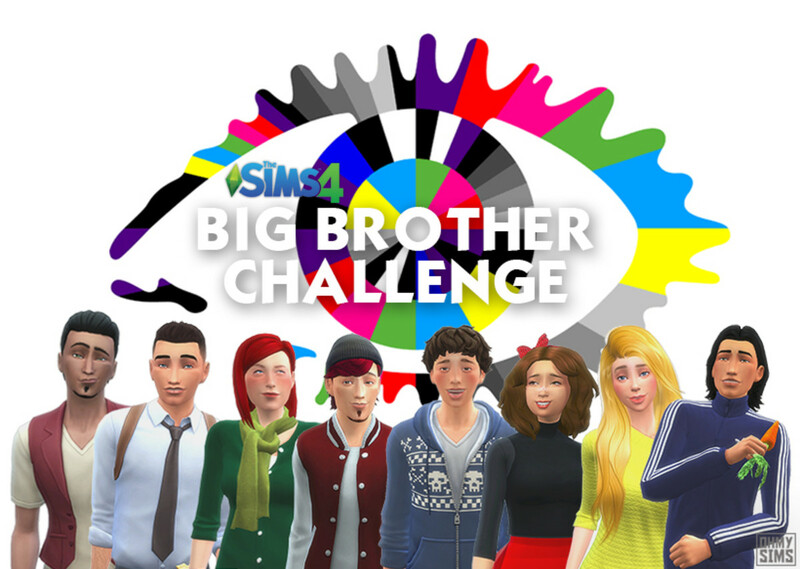 I recently got into the Big Brother TV shows (yeah, I know, I'm about 15 years late on this), and it really inspired me to make a Big Brother game in my Sims 4 save! The Big Brother challenges have been going on since The Sims 2, though! 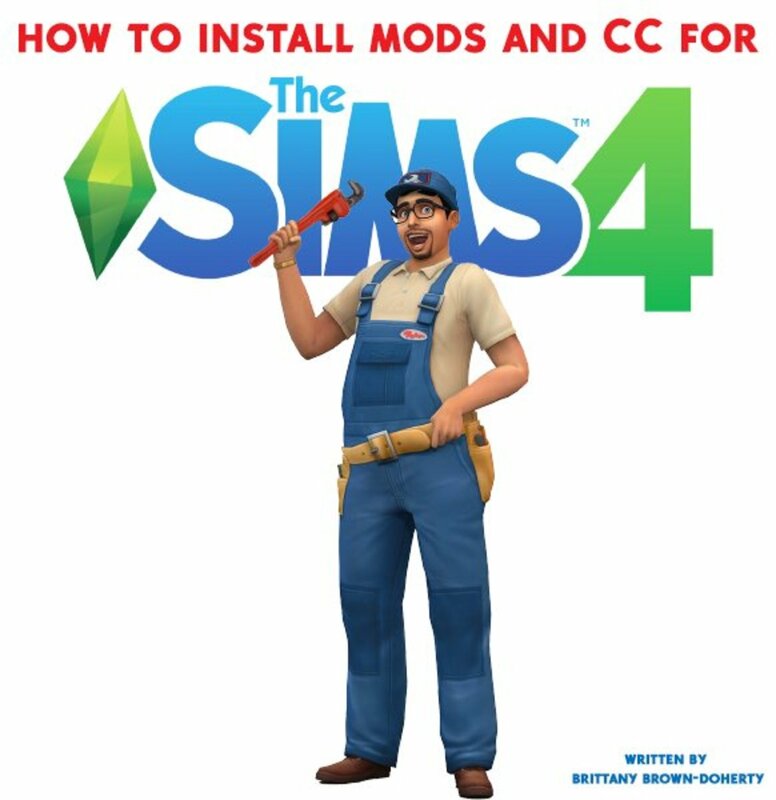 Create 8 unique Sims. I recommend randomizing their traits and making them as different as possible. As usual, you can also download a set of Sims from the Gallery. You cannot control any of the Sims! No wants can be fulfilled and you can't interfere with anything- even death. Each week you can focus on a skill as the challenge (can be painting, fitness, woodworking, cooking, etc...any skill in the game). The Sim who builds the highest skill can win immunity (no eviction). Eviction can occur once a week. The Sim with the lowest amount of friendships in the house must be moved out. I love this challenge; it's a lot of fun and you can see just how well your Sims take care of yourself and develop friendships without your input. It's interesting watching the different personalities, and is a lot like watching the actual Big Brother TV show. This challenge is great if you want to have a more hands-off playing experience, too. Full challenge rules are here! I'm a big fan of Gordon Ramsay and Masterchef (USA), so I was so excited when I saw this challenge. Created by SimDougnut on Tumblr, this challenge allows you to challenge 5 Sims and find the "master" chef. Create three judges, and five random Sims. The judges need to have Level 5 cooking skill and "foodie" traits/Cooking Aspirations. None of the contestants can have cooking skill at the start of the contest, but they can read cooking skill books or watch the Cooking channel during non-challenge days. 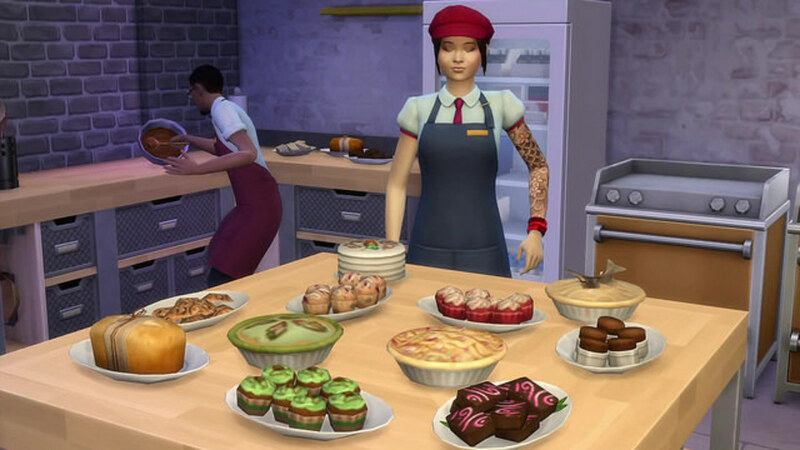 Each week, there are three cooking challenges which your Sims must complete in. The judges are given the food to eat and the highest quality dish wins, the lowest dish earns elimination. If you like the cooking skill in game or are a fan of Masterchef, this is definitely the perfect challenge for you! Check out the full challenge rules here! 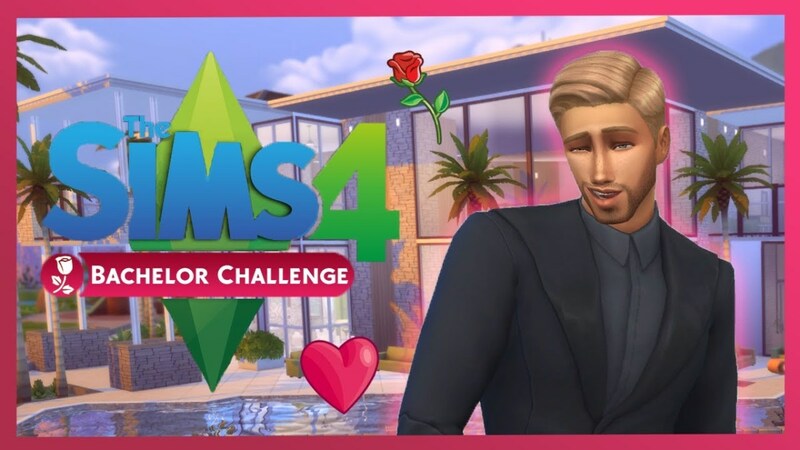 Have you played a challenge in The Sims 4 yet? Which one are you most looking forward to playing? Let me know! In the Sims 4 Black Widow Challenge, how do you inherit the person' money? If you move them into your house, their money will automatically transfer into your household funds. How do I persuade my mum to let me get The Sims 4 expansion packs? Is your birthday coming up soon? We still have a while to go before Christmas! Maybe if you make a deal to get a good grade in school, she can buy you some of the expansion packs? Or do a trade-off; chores for expansion packs? Is the 100 baby challenge possible? It definitely is, but it'd probably take a really long time. How do you do the 100 Baby Challenge if you can only have 8 Sims in a household? They don't all live in your household of course! Read the instructions above. Do you have to have expansion packs for these Sims 4 challenges? Most of them are for the base game! Could I play these challenges on the PS4? Could I add the lunar zodiac challenge by koffee? Absolutely! You can play all of these challenges on any platform. When playing SIMS 4 do you need a mod for 100 baby challenge? Do any of these Sims 4 challenges require a mod or game pack? Nope, they're all base-game compatible! Could you possibly put the Not So Berry challenge rules on here by LittleSimsie? Yup! I'll add it soon. Did you play all of these challenges? I've played several of them! I haven't done the Disney Challenge or the 100 Baby Challenge, yet, though. Is making Sims 4 challenges hard? No, not really. Just follow the rules and you'll be able to do them. How did you make these Sims? I did not make these Sims! The creator of the challenges did. How did you find all of these challenges? I found them through The Sims 4 official forums, Tumblr, suggestions from friends, YouTube and Google. Which games in Sims 4 do you suggest? I'm looking for something addicting! It really depends on what kind of gameplay you like! I LOVE Zerbu's Go to School mod, but that's because I love family gameplay. Do you know of any good challenges for the PS4 Sims 4? You can play any of the challenges that don't involve mods on PS4. Why is can't you move lots in the new Sims Generation in the Legacy challenge? I think the point is to build up where you started. It's just one of the rules. How are The Sims 4 challenges downloaded? You don't need to download anything. They are just ways to play your game. Is Sims CC available to be played on an Xbox 1? Sadly, no. CC is only available for PC or Mac- no support for modding on consoles. 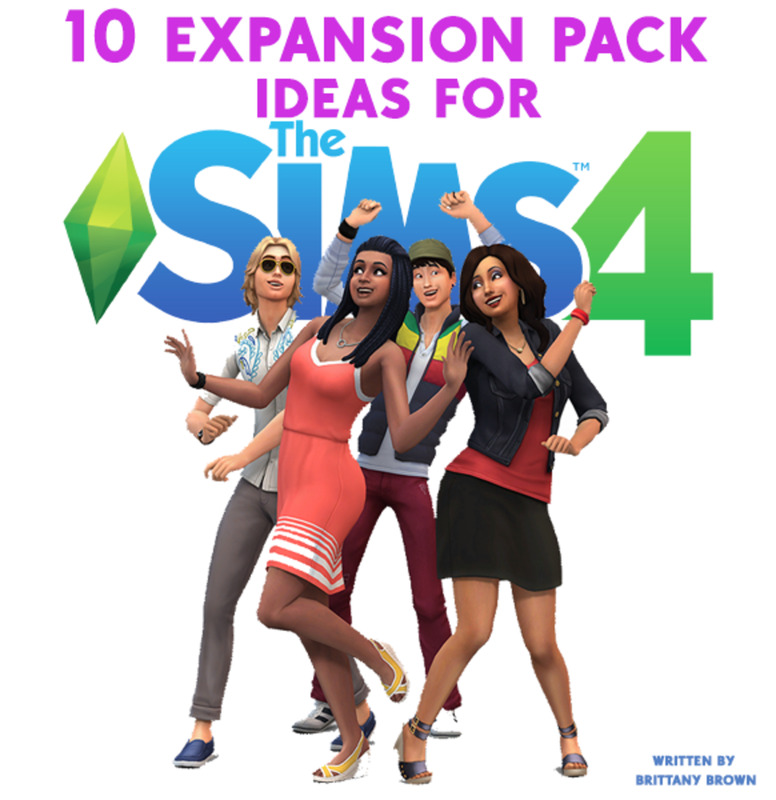 10 "Sims 4" Expansion Pack Ideas! I’m doing the 100 baby challenge I live in a mansion that I just moved into. I have a challenge that I love to play I made it up myself. I find it very hard to find a challenge to stick with until it’s completed so I decided to make my own and I hope people will enjoy it! I have a challenge, the prison challenge. Use as much money as wanted to make a prison with a house in (warden) and 2 living quarters. Make 5 cells and a warden and 2 guards. The warden can't enter the prison but you can control him if you get bored. the guards have to control the prisoners who you CAN NOT CONTROL if they move in but if you trap them then you cant control them anyway. Each prisoner serves 1 week in prison but if they can get a 'best friend' relationship with a guard, they can be 'paroled' out of prison early. For every prisoner you take in, give yourself 1,000 (rosebud) and every prisoner who gets to serve the full sentence or get paroled give yourself 50,000 (motherlode). When your warden dies, you lose all your guards (you can get new guards by making them or getting them to move in) or you go bankrupt, the game is over. You can get a new warden but officially the challenge ends when he dies (if it doesn't end before that). Your amount of money is your score. When I did it, my cause of loss was the warden died of age and my score was 560,000. I took in 11 inmates and 10 had been freed or paroled before the game was over and 1 was still in prison when the warden died. So I have seen a lot of people asking things like, "Where's would my wooden creations be going when I sell them?" And I just wanted to say what I do. When I sell my wooden creations I pretend like I'm just creating things for my shelter. When you sell them you make money, and you can use the money to buy things for your shelter(hope this makes sense) So in summary I kinda act like I make things for the shelter with the woodworking bench, when I actually just sell the creations and buy what I need. The bunker challenge is the best challenge! OMG! I cant wait until i do one of the challenges!!! Most of them sound so creative. I really want to do the homeless one and the decades one!! I've been playing The Sims for years and have never done a challenge. Recently, I began my own Simtube (youtube) channel and will be doing some. I think my first challenge will be the Homeless one. I created a Challenge, The Granny time challenge. Im gonna try all of these! Thank u! Who wants to make a studio challenge? It will be like the legacy challenge but different. I created a challenge, sorta like the one hundred baby challenge and the Mamma Mia movie. The first day is sorta challenging, so I apologize if it doesn’t work out. I have a challenge, the reaper challenge. I just read it and this look's so much fun. Thank you creator for putting these challenges up for us to try. I guess my question is what inspired you to try in the first place play Sims? Like what made you play sims. I've played ALL of these challenges! It took 4 months and was a challenge in it's self! They were all so much fun! Especially the Black Widow one! Like these challenges you make a staring sim based on the color "red" when they have a child there childs color would be "orange" and so on so forth. i need help figuring out the stages of what you need to complete. ANY SIMS 4 GAMEPLAYER OR ANYTHING CAN TAKE CREDIT FOR THIS CHALLENGE! I love the 100 baby challege...I am going to do it now! Good one is NSB love it so much!! Cool Ideas I can't wait to try all these great challenges thank you so much for the ideas! Can you make a challenge where you are a baby vampire born by 2 human parents and make the vampire baby grow up and when it becomes a young adult you put a spin on it and have the vampire max all skills, get all reward traits,and max level 10 in all careers,career branches,and jobs as well as fullfill all the aspirations. (Can use potion of youth if needed. After you do after this you can transform the vampire into a human. Start out with two sims locked in the apocalypse base. They have to have at least one boy and one girl. Once the boy and girl get to YA they have to make one boy and one girl as well and continue for two generations. You lose if you have two boys/girls and the mother/father are dead. There's one like the Decades Challenge called the Victorian Challenge. It's not as popular as it should be. So you start an old fashioned family. They begin with a small amount of money, a tiny cottage. The family has a father, a mother, three daughters and two sons. The oldest and prettiest daughter has to marry a rich man and both sons have to start selling things for money. They all move into the large house, then they need to kill off the rich man. The second oldest then marries... Kill him off, take the money and house. The third... Marry, but don't kill him off. The rest of the family must try, but the third must actually CARE about her husband. Sound fun? Try if you want to. I like the Hunger Games Challenge a lot! I'm Excited for the Bachlorette challenge!!!! As soon as a saw it I knew the homeless challenge was for me!!!! If you get any more ideas be sure to share them! I did the Black Widow challenge. I have to admit, at first I was slightly bored, but when the game got moving, and I got around 4 tombstones, I actually started to love it! 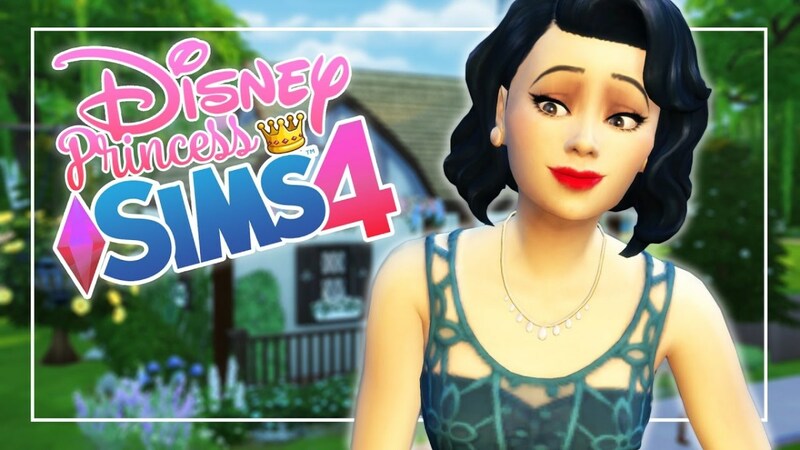 I did the Disney Princess Challenge, I actually completely finished it! It’s really fun, to see your generations grow and change. I highly recommend this one! Really Fun! I tried the Insane one, and so far it has been going well. Not as crazy as I imagined. Two of the sims even got married. Straight after the marriage, they started yelling at each other and being weird. I like this challenge a lot, and I think it is very diverse from all the others.